Abstract: Network coding can significantly improve the transmission rate of communication networks with packet loss compared with routing. However, using network coding usually incurs higher computational and storage costs in the network devices and terminals. For example, some network coding schemes require the computational and/or storage capabilities of an intermediate network node to increase linearly with the number of packets for transmission, making them difficult to be implemented in a router-like device that has only constant computational and storage capabilities. In this talk, we introduce BATS code, which enables a digital fountain approach to resolve the above issue. BATS code is a coding scheme that consists of an outer code and an inner code. The outer code is a matrix generation of a fountain code. It works with the inner code which comprises random linear coding at the intermediate network nodes. BATS codes preserve such desirable properties of fountain codes as ratelessness and low encoding/decoding complexity. The computational and storage capabilities of the intermediate network nodes required for applying BATS codes are independent of the number of packets for transmission. It has been verified theoretically for certain special cases and demonstrated numerically for general cases that BATS codes can achieve rates very close to optimality. Biography: Raymond W. Yeung received the BS, MEng and PhD degrees in electrical engineering from Cornell University in 1984, 1985, and 1988, respectively. He joined AT&T Bell Laboratories in 1988. He came to CUHK in 1991 and has been with the Department since then, where he is currently a chair professor. Since 2010, he has been serving as Co-Director of the Institute of Network Coding. He is the author of the books A First Course in Information Theory (Kluwer Academic/Plenum Publishers, 2002) and Information Theory and Network Coding (Springer 2008), which have been adopted by over 60 institutions around the world. His research interest is in information theory and network coding. He was a consultant in a project of Jet Propulsion Laboratory for salvaging the malfunctioning Galileo Spacecraft. 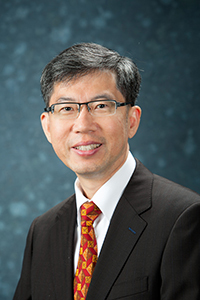 Professor Yeung is a member of the Board of Governors of the IEEE Information Theory Society from 1999 to 2001. He has served on the committees of a number of information theory and workshops. He was the General Chair of the First Workshop on Network, Coding, and Applications (NetCod 2005), a Technical Co-Chair of the 2006 IEEE International Symposium on Information Theory, and a Technical Co-Chair of the 2006 IEEE Information Theory Workshop, Chengdu. Abstract: The Lyapunov drift method is a staple for deriving throughput-optimal resource allocation policies in wireless networks. Less well known is the fact that similar methods can also be used to study the queueing or delay performance of such networks. Setting the drift of a Lyapunov function equal to zero in steady-state provides bounds on expected queue lengths. However, such bounds are often very loose due to the fact that they fail to capture resource pooling effects. We will show that such an approach can be used to obtain bounds on the steady-state queue lengths which are tight in the heavy-traffic limit. The key is to establish an appropriate notion of state-space collapse, and use this state-space collapse result when setting the Lyapunov drift equal to zero. We will illustrate the technique by applying it to a routing problem and a scheduling problem. Joint work with Atilla Eryilmaz. Biography:R. Srikant received his B.Tech. from the Indian Institute of Technology, Madras in 1985, his M.S. and Ph.D. from the University of Illinois at Urbana-Champaign in 1988 and 1991, respectively, all in Electrical Engineering. He was a Member of Technical Staff at AT&T Bell Laboratories from 1991 to 1995. He is currently with the University of Illinois at Urbana-Champaign, where he is the Fredric G. and Elizabeth H. Nearing Endowed Professor of Electrical and Computer Engineering and a Professor in the Coordinated Science Lab. His research interests include communication networks, stochastic processes, queueing theory, information theory, control theory and game theory.